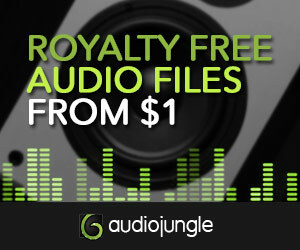 Here is some Demo Audio to feast your ears on. And only $99? Buy it here. As always, subscribe to the right to stay updated with new releases for the modern composer! One day left for 50% off selected KOMPLETE Instruments and Effect, the MASCHINE 2 software update, and TRAKTOR PRO 2. It comes with 2 regular trumpets, a muted trumpet, a flugelhorn, an alto sax, a tenor sax, a baritone sax, a tenor trombone, a bass trombone, and a tube (6 more instruments than NI’s Session Horns – that had only 2 trumpets, a tenor sax, and a tenor trombone). Make your horns sparkle with 34 articulations, up to four round robins, up to four velocity layers, and true vibrato samples. One thing that should be noted is that these horns seemed to best used in funk or jazz or even some modern pop or hip-hop genres – a song that takes advantage of a small combo setting as opposed to a big, epic orchestral fanfare. After all: no french horns! Also, make sure you have room! Session Horns Pro takes up a whopping 30 GB of space! This Kontakt 5 library will set you back $299 – or $199 for the upgrade. Here’s a video tutorial if you’re interested.